Liquidation Sale- We are liquidating our current stock, therefore, what is listed is what we have available. We are no longer offering color/ fabric changes or personalization. Item will come as pictured. 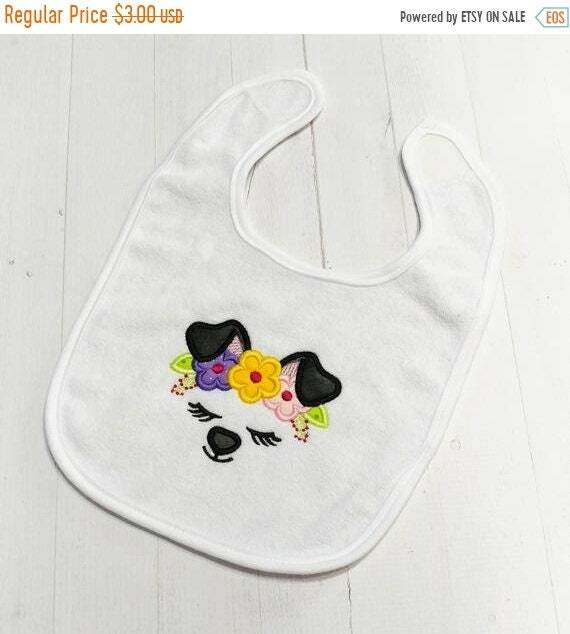 Bib expressions for baby girls and boys. 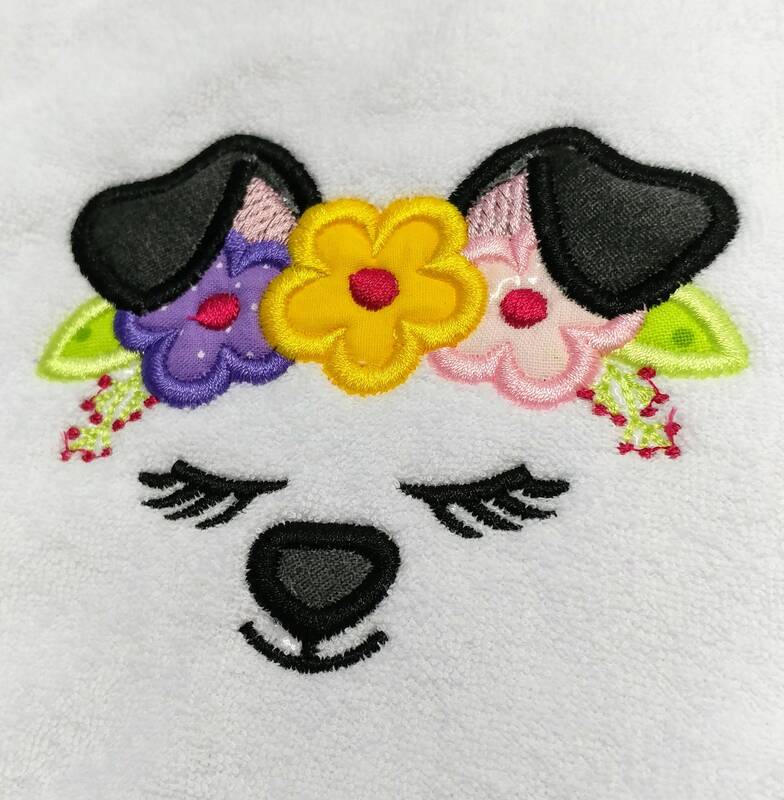 This white Koala Keep Clean bib is machine embroidered with an applique featuring an embroidered puppy nose, ears, and eyes that are accented with bright spring flowers.